This week my 8th graders and GT students are both starting Multimedia projects. The students are free to choose how to communicate their work. However, I did want to offer some choices so they don't all choose the safe or easy route. 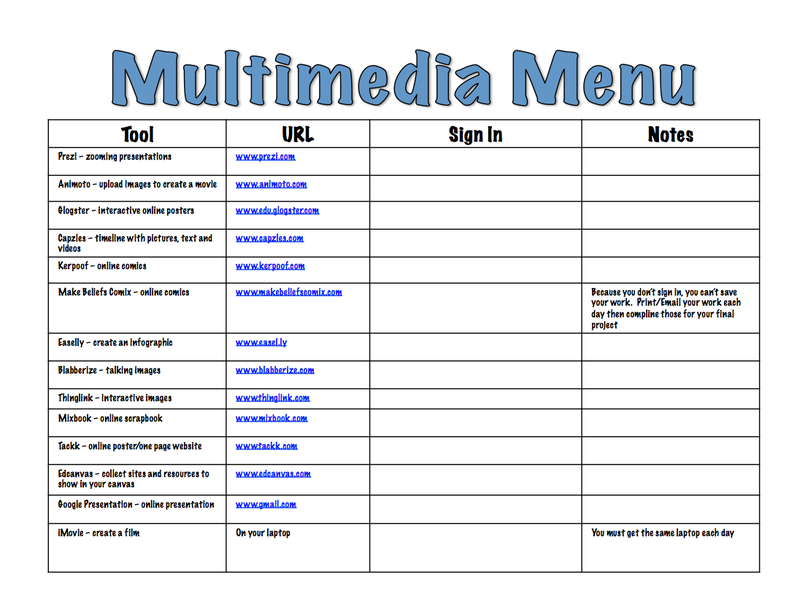 Enter the Multimedia Menu. On the Menu students get a brief description of the tool, the URL, how to sign in and any notes. Many of these tools require that users by 13 or over. To protect my students in those instances, I create a class account and give them access to it. The user names and passwords appear in the sign in column. If they can create their own account, I give them instructions on how to sign up in the sign in column. All the tools are free, except Glogster. 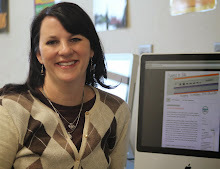 For Animoto and Kerpoof, I have a teacher account. If a student wants to use that tool, I create an account for them. 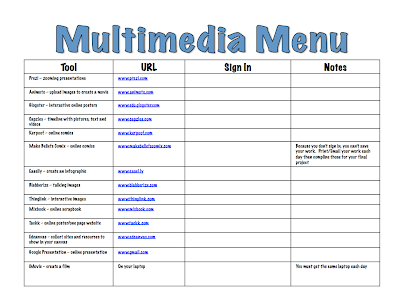 What are your favorite multimedia tools?